Family Christian Academy’s Junior High School is privileged to serve the North Channel Area. Our mission is to Touch the World Through Our Students Who Have Been Fully Equipped To Do So. Our school culture covers three components: spiritual, academic, and college readiness. Junior High is a unique time in a child’s life, and we at FCA value this time and the potential that grows in our students as they move through the junior high years. Students are using lockers and changing classes. They are becoming more independent and are learning how to be more responsible for themselves. During this growing process, FCA teachers, staff, and administrators encourage, support, and guide students to develop critical thinking skills and to become the competent and capable young people they are meant to be. First and foremost, we are called to train up children in the way they should go, as the Bible is the foundation upon which all life is created. Our Spiritual Components include daily Bible classes, weekly student-led chapels, and Christ-centered teaching and curriculum materials. Our teachers and staff all live out a Christian faith and pour God’s Truth into all aspects of teaching and training our students. As a school, we place great value in training students in academics to prepare them for the future. 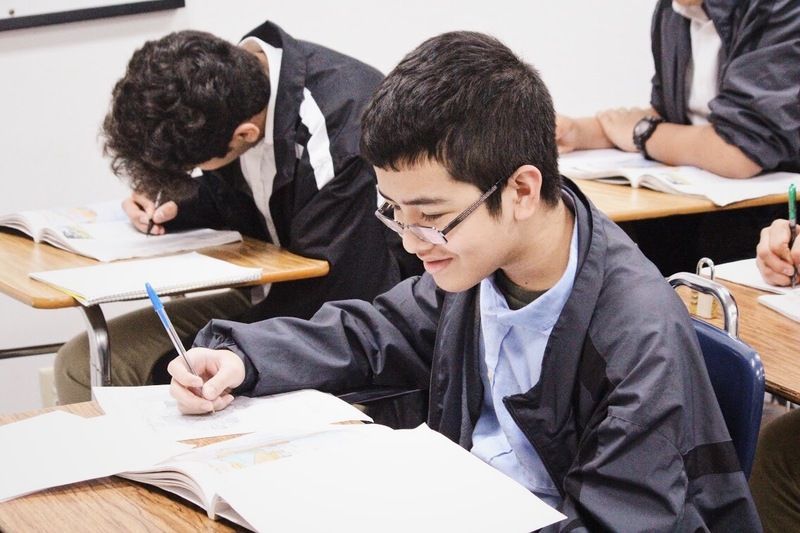 We prepare our students for the next level of academic work, preparing them to advance into our accredited high school program. Our Academics are rooted in Christian curriculums such as ABeka, Bob Jones, Ignitia, or Apologia. Students take field trips to the Houston Museum District; they engage in in-class science experiments; they utilize online learning opportunities with our Core classes and much more. FCA is proud to raise up the next generation fully prepared to meet the challenges of tomorrow and to make a positive impact on the world.